This week we are going to focus on sustainability. For the past few weeks we have been blogging about how fashion is the second most polluting industry in the world, and how we, as consumers, have a social responsibility towards this trend. I’m sure by now everyone has heard of Patagonia, Reformation and Everlane. In this week’s blog we want to go over some less familiar brands who are doing an amazing job in the industry and helping reduce the waste. If you are looking for office wear, Amour Vert is the to-go brand . This brand offers American manufactured, non-toxic dye with sustainable fabrics and it’s built on a zero-waste philosophy. To name a few of their iconic fabrics: Merino Wool sourced from Woolmark approved stations in Australia, recycled polyester sourced from 100% recycled material and their certified organic cotton. 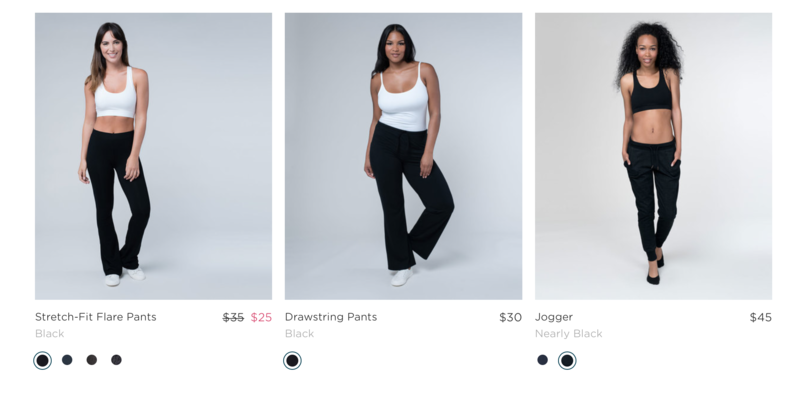 PACT owner’s goal was to create comfortable clothes with a clear conscious. They use sustainable ingredients and use Fair Trade Certified factories. They have a broad range of products for men, women and children. They are reasonably priced, and you can find all your basics here. On top of that they make products for all the body types and use models with different body shapes . Naja focuses on lingerie and swimwear. They use many eco-friendly technologies to reduce their waste. For instance, they use digital and sublimation printing technologies to print garments because they are the most environmentally friendly process for creating printed fabrics. They also use fabrics made from recycled plastic bottles. They also donate 2% of their revenue to local charities to help educating women in need. This company was started by two sisters, Holly and Heather who have devoted line to natural rubber shoes and accessories. The rubber is sourced from fair trade companies and it is safer for the environment. 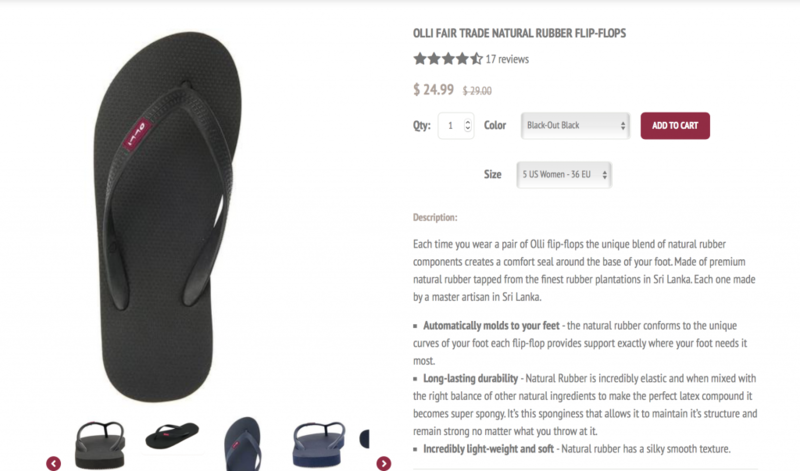 Their famous flip flops are extremely comfortable. This is an accessory and jewelry brand. They are built on a six-core values which emphasizes on giving back, sustainability and transparency. Their mission is to be the first luxury brand built by everyday people. Their line consists of scarves, handbags and jewelry. To learn more about this stores clock on their hyperlinks! And don’t forget to Shop smart.